Hey guys! Welcome back to another Grisly Disney. Today we’re looking at our long-locked lass, Rapunzel. Before we start though, just to give you a heads up; there will be mild spoilers for Tangled throughout this post. As you might have come to expect if you’ve read the rest of this blog series, this story is known by many as being penned by the Brothers Grimm back in 1812. However, they weren’t actually the first to tell the tale of a golden haired maiden trapped in an impossibly tall tower. The Brothers Grimm adapted their tale from Friedrich Schulz, who published Rapunzel in 1790. Schulz, in turn, was inspired by 1698’s Persinette by Charlotte-Rose de Caumont de la Force, who was inspired by an even earlier tale – that of Petrosinella by Giambattista Basile in 1634. 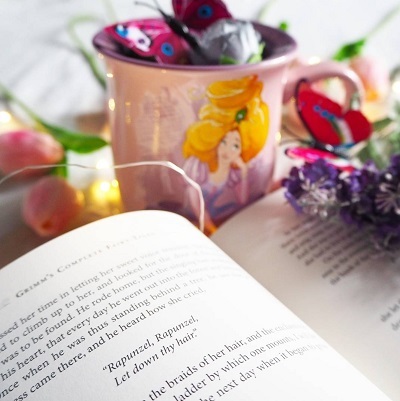 So Rapunzel is at least 383 years old, and is classified by the Aarne-Thompson classification system for folk tales as type 310 – “the maiden in the tower”. 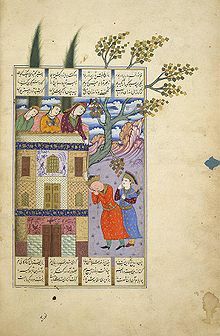 That said, her story may go even further back, as it’s strikingly similar to the 11th century Persian tale of Rudāba, included in the epic poem Shahnameh. Rūdāba, or Roodabeh, was the Princess of Kabul, who would let down her “musky black tresses” for the Iranian King, Zal of Sistan. He would climb them like a rope up the walls of her palace, and the two would talk for hours on the roof. These actions would have been seen as unacceptable according to Islamic traditions, but the poem’s author, Ferdowski, wanted to highlight Iran’s cultural norms. Zal’s father did not approve of the marriage, as Rūdāba’s father was a Babylonian, and chief of Kabul. However, Zal’s father consulted astrologers, who told him the child of Rūdāba and Zal would conquer the world. The two married, and shortly afterwards, Rūdāba fell pregnant. Her labour was prolonged due to the extraordinary size of the baby, but when she was close to death, a desperate Zal remembered a tale of a feather of the Simurgh, a benevolent, mythical bird in Iranian mythology. He placed a feather on a sacred fire, and the bird appeared and guided him to perform a caesarean, saving both his wife and the child, who later became one of the greatest Persian heroes. Bet you weren’t expecting to find a saint here, right? Well, neither was I, to be honest! But Saint Barbara’s story has noticeable similarities to Rapunzel’s. 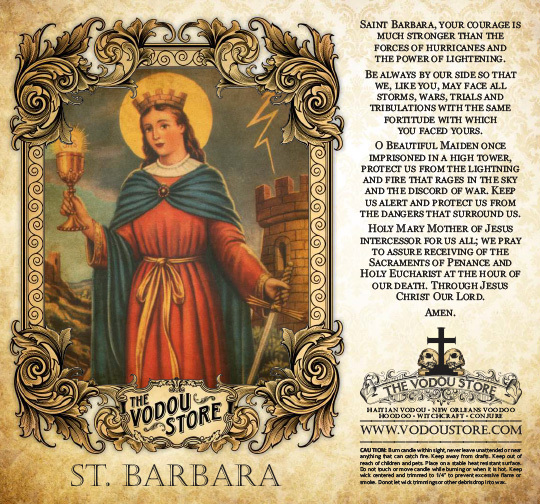 To cut a long story short, Saint Barbara was a early Christian saint and martyr from Greece, who was kept locked in a tower by her father in order to preserve her from the outside world. Barbara secretly became a Christian (not sure how, when locked in a tower with no contact to the outside world…some kind of sacred Snapchat, perhaps? ), and added an extra window into her private bath house when her father was away on a trip, so that the windows symbolised the Holy Trinity. When her father returned, she told him she had become a Christian. As he drew his sword to kill her (bit extreme, Pops), her prayers created an opening in the tower wall and she was miraculously transported to an idyllic mountain top, where two shepherds watched their flocks. Barbara’s father followed her somehow, but the first shepherd would not tell him anything about Barbara. The second, however, betrayed her, but was turned to stone and his flock to locusts as a result. Barbara was captured and tortured, but would not break. At night, her prison cell would glow and her wounds would heal. Torches used to burn her would go out before they could reach her. Finally, she was sentenced to death by beheading, which her father carried out, before being struck by lightning and consumed with flames. Barbara was buried by a Christian, and her tomb because a site of miracles. So, as you can see, the Brothers Grimm clearly didn’t come up with the story alone. That said, it’s commonly thought of as a German folk story, and there’s even a statue of Rapunzel in her castle in Dresden. It’s the version we all think of as being the “original” one that inspired Disney’s Tangled. But how does their version of the tale pan out? Well. similar to Tangled, it starts with a couple (not royals, mind), who are expecting their first child. They live next door to an evil witch named Dame Gothel (or Mother Gothel, in Disney’s version), who has an expansive, walled garden. The wife, in the throes of pregnancy cravings, sees some rapunzel (or rampion, in English – a radish-like plant with spinachy leaves) growing in the witch’s garden, and sends her husband to get some for her. Her husband sneaks into the garden and steals some, which the wife makes into a salad that tastes so good, she promptly sends him back for more. However, as he tries to get back over the wall following his little vegetable-based heist, the witch catches him, and isn’t too pleased that he’s been stealing her produce. She agrees to let him take all the rapunzel/rampion he wants, as long as he gives her the baby when it’s born. Desperate, he agrees, and when a baby girl is born, Dame Gothel takes her, naming her Rapunzel after the plant her mother craved. Similarly, in Disney’s version, Mother Gothel has something stolen from her by Rapunzel’s parents. She uses a golden flower which has magical healing properties to retain her youth, until soldiers steal it for the queen, who is in poor health. 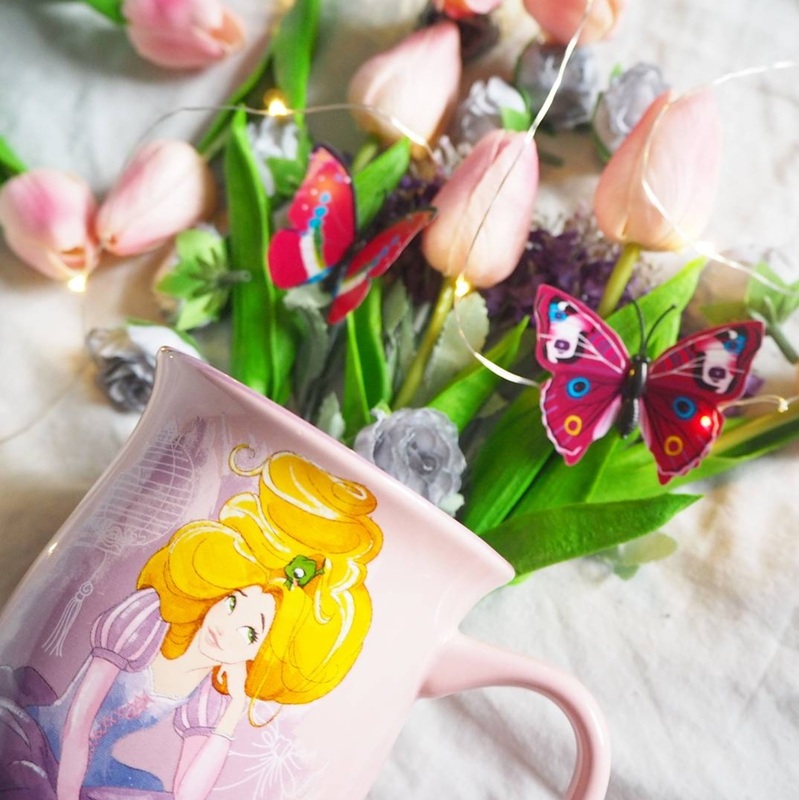 The queen gives birth to Rapunzel, whose hair possesses the magical healing properties of the flower, and Mother Gothel steals her away to stay young. 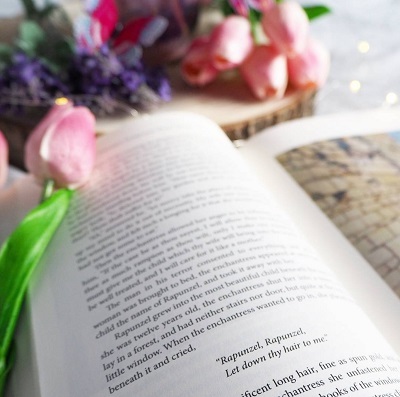 One day, a prince (the complete opposite of Disney’s love interest, Flynn, who is a crown thief, no less) rides through the woods around Rapunzel’s tower, and becomes entranced by her singing. He seeks out the source of the singing, and finds her tower. Needless to say, he cannot enter it, so he just returns often to listen to her singing. On one of his visits, he sees Dame Gothel visit, and learns how to climb up to his singer. Of couuuuurse, when he climbs up, they immediately fall in love, and he asks for her hand in marriage, which she is happy to give. In Disney’s version, Rapunzel plans her own escape, and bribes Flynn to show her to the lanterns she sees in the sky in exchange for the stolen crown she took from him after she’d knocked him unconscious. However, in the Brothers Grimm version, Rapunzel accidentally gives away that a prince has been visiting her – in the first edition, she notes that her dress is getting tight around her waist (indicating pregnancy), and in the second edition, she absent-mindedly asks Dame Gothel why it is easier for her to draw up the prince than her. This enrages Dame Gothel, who cuts off her hair and casts her out into the wilderness to fend for herself. (This is the exact opposite of Disney’s Mother Gothel, who is so determined for her to stay, she stabs Rapunzel’s love interest, mortally wounding him, so Rapunzel doesn’t have means or a reason to leave her). When the prince comes back that night, Dame Gothel lets down the hair she cut off. Reaching the top, he realises in horror that she is not Rapunzel, and she tells him in a jealous rage that he will never see Rapunzel again. The prince leaps off the tower to escape her, and lands on some thorns, which blind him. For months, he wanders through the woods blindly, and eventually comes to the wilderness where Rapunzel now lives with the twins she has given birth to; a boy and a girl. One day, she sings, and when he hears her voice again, they are reunited. (In Disney’s version, Rapunzel’s singing also gets them out of a dire situation – her hair glows when she sings, so she uses it to light the way out of a flooding cave). When they embrace, Rapunzel’s tears restore his sight (or heal his stab wound, in the Disney version), and he leads Rapunzel and their children to his kingdom, where they live happily ever after. In the Disney version, the tables are turned – Rapunzel is royalty, not her male rescuer, and she takes him to her kingdom. 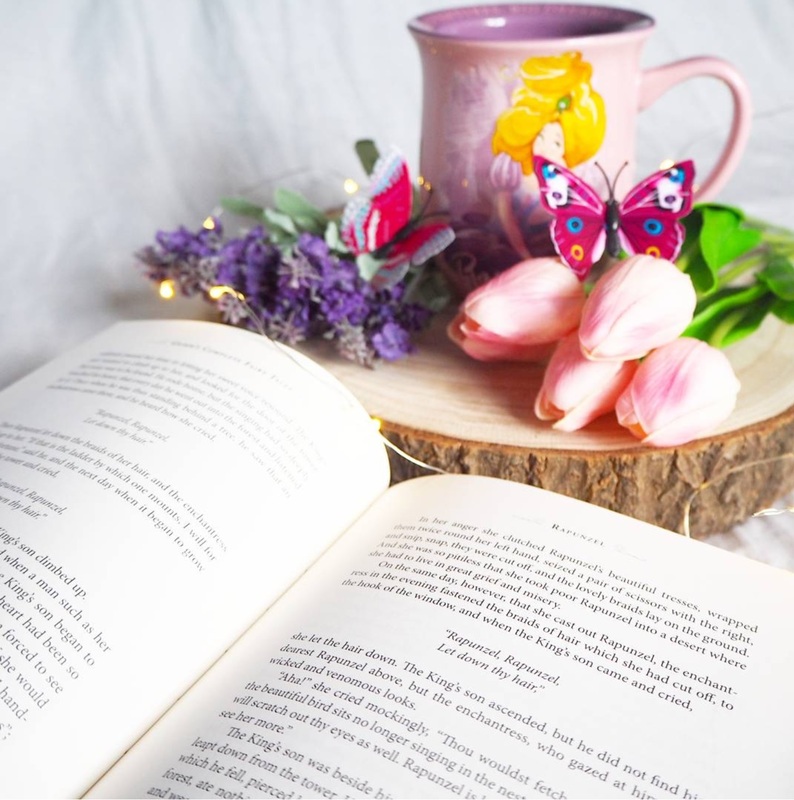 Other versions also end similarly to Tangled in terms of Dame Gothel’s fate – some state that Rapunzel’s hair slipped from her hands when the prince leapt, leaving her trapped in the tower forever. In some ways, the Disney ending is both darker and more twee. On one hand, Disney actually kills off their Dame Gothel character, whereas the Brothers leave her sitting in a tower alone – though I suppose it’s probably a crueller fate to let her starve to death. But in terms of the traumatic incident, Tangled features a near death incident for the love interest, then she heals him, and they go off to find out she’s a princess, and she’s reunited with her long-lost family, and married in a grand ceremony. The Brothers Grimm, however, have her stumbling alone in the wilderness – which would be terrifying for anyone, let alone someone who’s never even been outside – before giving birth alone and out of wedlock (the horror!! ), then after all that trauma, finally reuniting with her no doubt macabre-looking prince whose eyes have been scratched into uselessness. There’s definitely no cute animal companions like Maximus the horse and Pascal the gecko in Brothers Grimm! I think Disney did a good job with this adaptation though; the tables were turned a little in the sense that she wasn’t just a damsel in a tower waiting to be rescued; in fact, she was the one rescuing her love interest from the death penalty and a life of crime, and she was already trying to engineer her escape before he came onto the scene. She’s not just “the most beautiful girl in the world” with golden hair; she’s a girl looking out for herself who possesses powers for good that even she doesn’t know the extent of. She also reacts logically to a strange man climbing into her bedroom – by hitting him with a frying pan, tying him up, and treating him as dangerous! 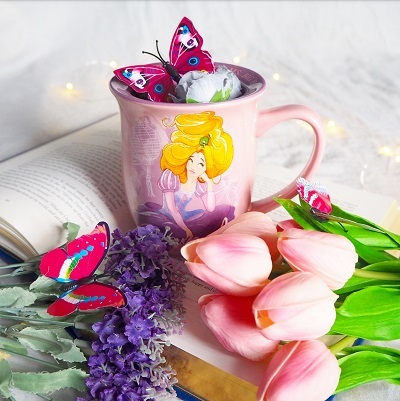 There’s none of that insta-love that fairy tales love; we see their relationship develop as Rapunzel gets used to life outside her tower, and her thieving definitely-not-princely boyfriend gets used to a life that won’t get him thrown in jail. What’s your favourite Disney adaptation? And in fact, what’s something that annoys you about Disney adaptations? For example, why does every female main character start off as a princess, or realise she is one somewhere down the line?! 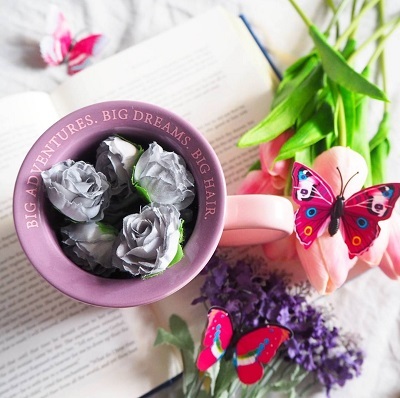 Leave me a comment – I’d love to know your thoughts! I must not have seen the Disney version. None of this sounds familiar! It really bugs me that all the Disney Princesses are suuuuper skinny. I know they’re cartoons, but still. How many girls watch them?! Ohh, I thought there was an original Disney adaptation before Tangled. 🤦‍♀️ I only saw the first third of Tangled, haha. And lol, t rue. Wow! This was so thorough and entertaining! Can’t wait to read the other Grisly Disney posts. Now I’m in the mood to watch Tangled. Beauty and the Beast used to be my favorite but now it’s tied with Tangled. Aww, thank you so much Debra! That means a lot! I really hope you enjoy the others 😊 yes, Tangled was a surprise favourite for me!